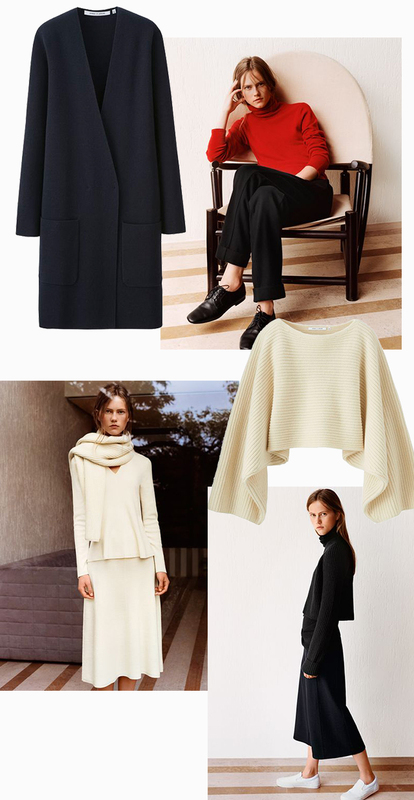 This October the 2nd, was the launch of Uniqlo and Lemaire collaboration. The former Hermès designer and the Japanese brand have come together to create a capsule collection of timeless elegance for everyday essentials. The French label brings Parisian cool to Uniqlo. Above you can see some of my favourite pieces from the collection, mainly the knitwear pieces (nothing like getting cozy in cashmere when it’s cold outside). You can still find some of the pieces available online and in store at Uniqlo Regent St.
Só peças perfeitas, que perdição!